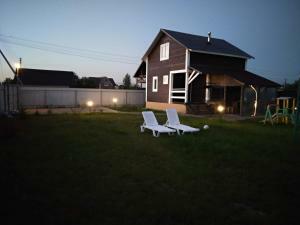 A-HOTEL.com - Luxury and cheap accommodation in Tolmachëvo, Russia. Prices and hotel, apartment booking in Tolmachëvo and surrounding. Located in Sin'kovo, Country Club Villa MUSE offers accommodation with access to a fitness room. The accommodation comes with a TV and a private bathroom with bath or shower and free toiletries, while the kitchen has a dishwasher and an oven.